With the weather hitting the headlines and the incredible hurricane Irene in the US it seems to have prompted some sales of our weather sterling silver charms. www.maldonjewellery.com has quite a range of sterling silver charms associated with the weather. Weather house sterling silver charm. There are plenty more of these weather sterling silver charms at www.maldonjewellery.com. If we can help with anything please email us. We do hope that everyone affected in the USA stays safe. Here in England there’s nothing we like better than a cup of tea. Many people take away these quaint little customs and look to some charms to remind them of our ways. We have many types of teapot silver charms and what better to go with it than a bit of cake silver charm. We have so many other designs from teapot charms with cute mice inside. Also some as sets with a teapot, cup and saucer and cake on a plate. Sterling silver I Love You spinner charms pendants. We get a lot of people that remark that they had spinner charms – pendants many years ago. They are amazed to see that they still exist. For those that are thinking “what on earth are spinning charms”, I’ll explain. A disc thats double sided and a frame that holds the disc in place but allows the disc to spin. That’s probably not a very good explanation so I’ll insert an image. The image shows rather strange dashes BUT with a combination of dashes on the other side when spun the eyes see them as the words I Love You. If you would like any more information or sizes then please visit our website or ebay store. 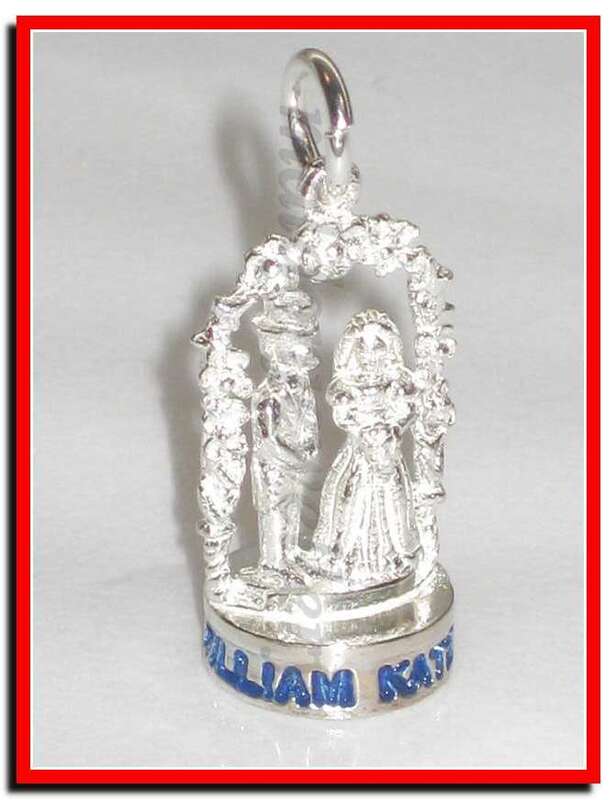 Interesting that we have had a range of Royal Wedding charms for some time and strangely they have not been pounced upon. But today we see 2 gone. Theres plenty of other Royal charms too ranging from the Queen on horseback, Buckingham Palace and the Tower Of London. They don’t cut your head off anymore, but maybe if they did we could send a few rioters there. Dont forget if we can help with anything please email us.